Nedbank [JSE:NED] forecast that the rate of growth in interest-earning banking assets will be below that of South Africa’s economy in 2018, after earlier predicting it will be in line with the expansion in gross domestic product (GDP). The lender’s credit-loss ratio, which rose 6 basis points to 53 basis points, will also increase slightly above the level achieved in 2017 although it will remain below its 60-100 basis-point target range, Johannesburg-based Nedbank said in a statement on Tuesday. 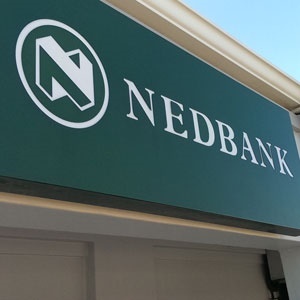 First-half earnings per share excluding one-time items rose 26% to R13.61, boosted by rising profit at Ecobank Transnational, the Lome, Togo-based lender in which Nedbank owns a 20% stake. South Africa’s economy shrank 2.2% quarter-on-quarter in the first three months of this year with the central bank expecting GDP to expand 1.2% in 2018. “Slow revenue growth and a gradual increase in impairments were offset by good cost management,” Nedbank chief executive officer Mike Brown said in the statement. Total assets exceeded R1trn for the first time. Nedbank’s stock has gained 3.2% this year, the best performer in the six-member FTSE/JSE Africa Banks Index, which is down 2.6%.